Cleaning the toilet must be one of the least liked household chores but as much as we don’t like doing it we know that it has to be done. Maintaining your toilet fresh, clean and germ-free is extremely important for the well-being of your entire family but who said that you can’t make this chore easier? 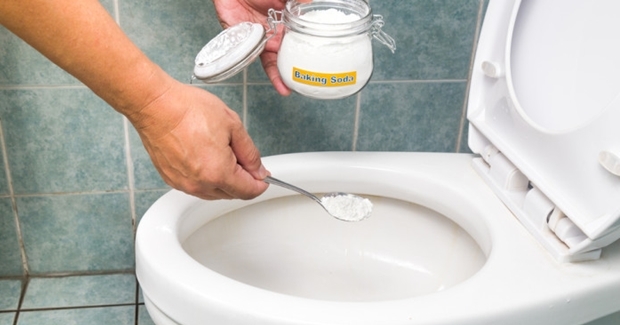 Instead of investing in expensive cleaning agents, loaded with harsh chemicals, why don’t you try the following homemade toilet cleaner? It will neutralize the odors, eliminate the bacteria and make your toilet smell fresh all the time. Mix the baking soda and the lemon juice in a small bowl. In a separate bowl, mix the hydrogen peroxide and vinegar. Add this mixture in the baking soda-lemon juice mixture one drop at a time. In the end add a fragrant oil of your choice. Take a spoon and make half-ball shapes. Place these on some parchment paper to dry. These toilet fizzies take a minimum of 4 hours to dry, but if you aren’t in a hurry, you’d better leave them to dry overnight. When they are completely dry, store them in an air-tight glass jar near your toilet. Whenever you see that your toilet bowl is ready for cleaning, just drop a tab. You can do this as often as 2-3 times a week.